Kiehl’s is continuing its ongoing partnership with Aids Research Foundation amfAR with a limited edition version of their ‘Ultra Facial Cream’. 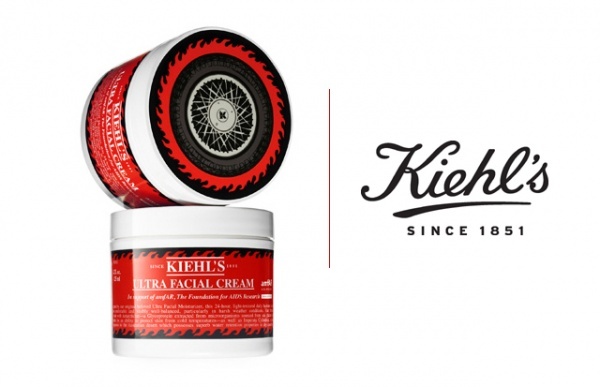 The product also commemorates the Kiehl’s Life Ride taking place from 2nd to the 6th August. 100% of the net profit up to $25,000 will go toward the benefit of amfAR AIDS Research. The amfAR x Kiehls Ultra Facial Cream is available online at Kiehl’s priced $46. This entry was posted in Skincare and tagged Cream, Kiehls Ultra Facial Cream, Limited Edition, Ultra Facial Cream. Bookmark the permalink.